We went to Mykonos Greece as Part 1 of our honeymoon last May (Part 2 was Athens) and I still can’t get over just how beautiful this little island was. Beauty aside though, hands down my favourite parts of Mykonos was the food, drinks and night life (its knows as the party island for a reason). To be honest, I didn’t fully create this list. 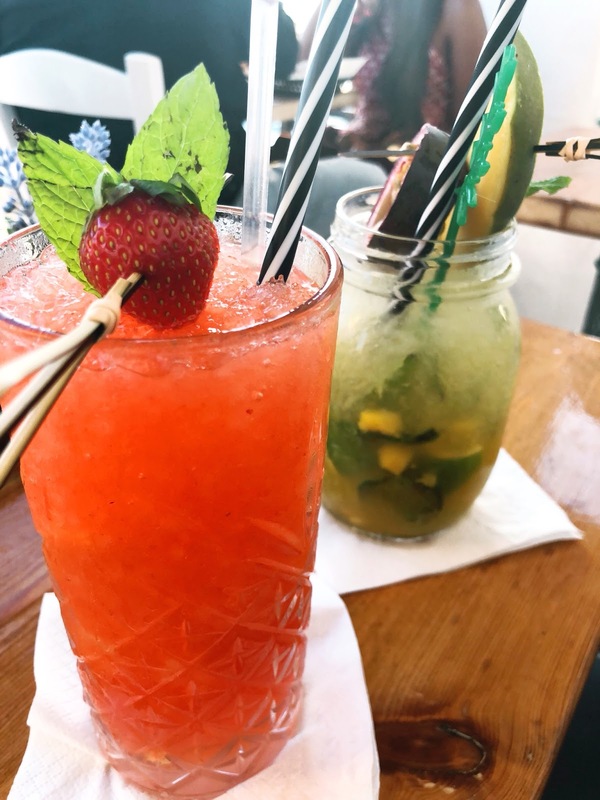 We stayed at a wonderful hotel (The Aeolos Mykonos Hotel), and we became fast friends with the bartenders since naturally we were by the bar a lot. One bartender Jacob, wrote us a list on our first day of the best bars and restaurants to visit in Mykonos. I still keep the list in my wallet’s pocket and will keep it there for any future visit, and as a token from the trip. We went to nearly every place on the list and loved every one. I did add a few places to his list since we went to a few extra places for eats and drinks, but generally his list was on point. 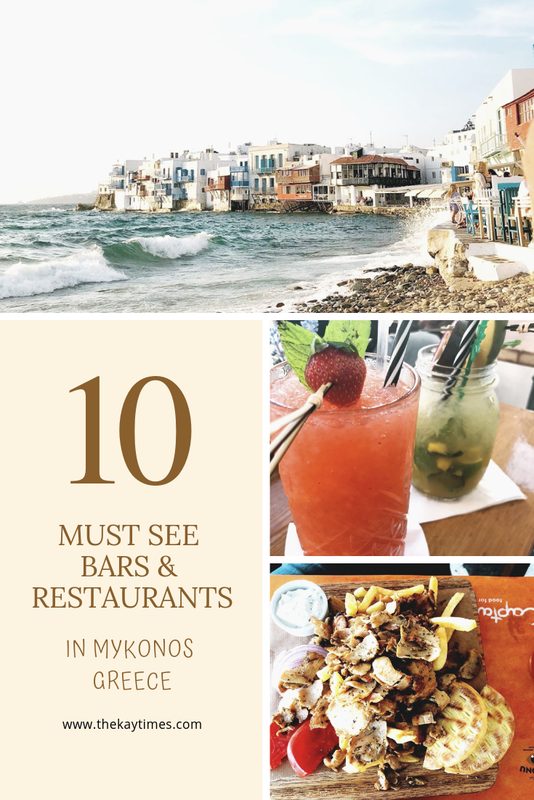 Tip: A couple things to note if you’re heading to Mykonos. The Food in Mykonos is not very cheap. 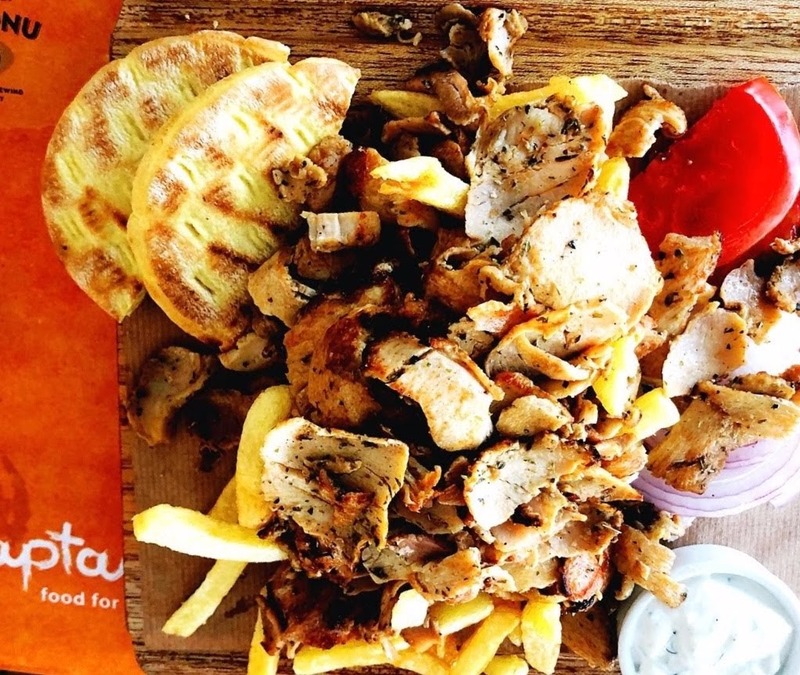 In fact in some cases it was twice the cost of food on mainland Greece, so you need to budget for food for this Greek isle (and from what I hear, all Greek islands) and its something really consider before you go. Music cafe, Mykonos Town ~ Located in Old Port in Mykonos Town, this Restaurant is perfect to grab lunch. Seriously, it had some of the best Greek Food and fresh seafood. Their lunch menu was extensive and everything we ate was good. We grabbed lunch here on maybe two days. Casa Di Giorgio ~ Casa di Giorgio was in Little Venice Mykonos. We spent a lot of time in Little Venice looking at the sunsets each evening so we popped into here a couple times. 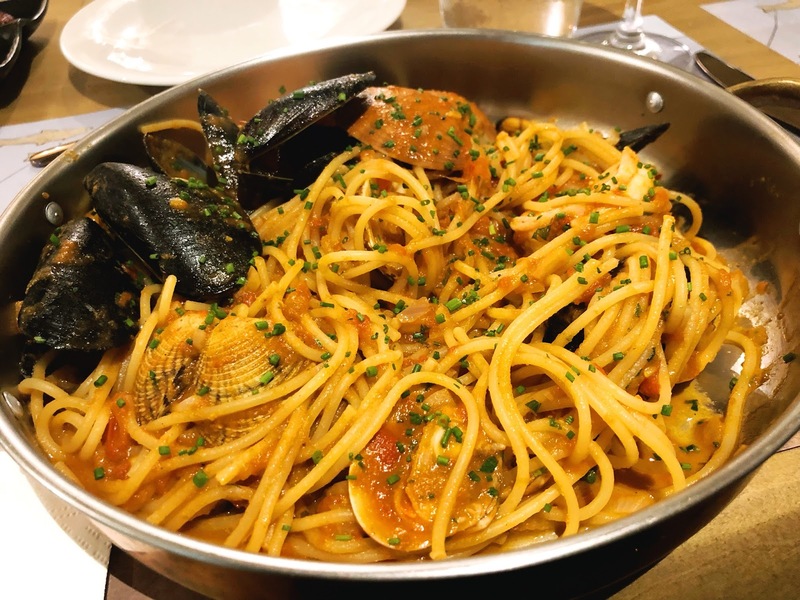 They serve Pasta, Seafood and other Italian cuisine. 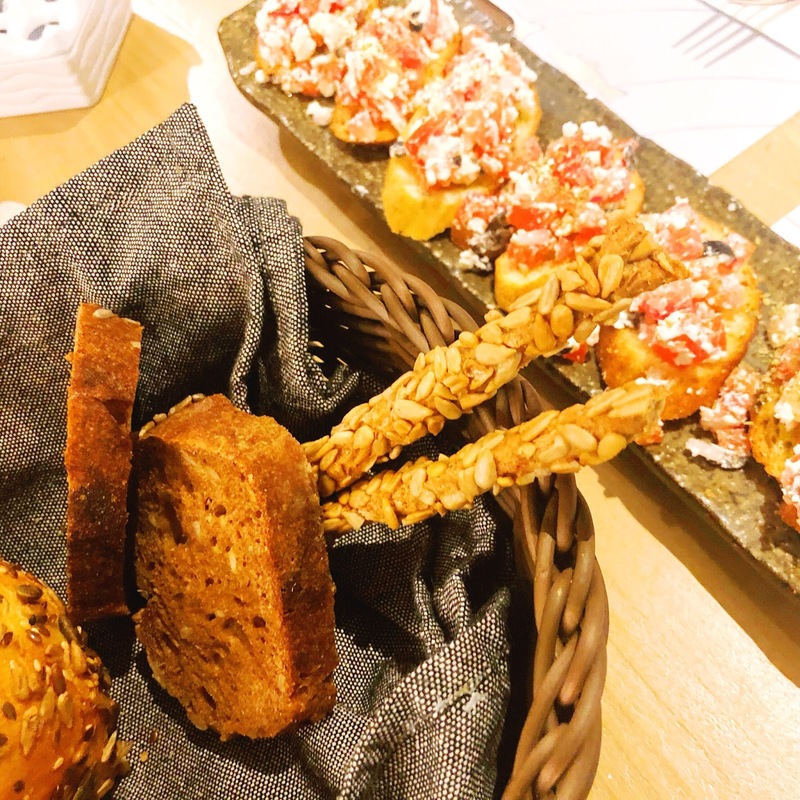 Every single thing we ate was so good and its a nice departure from the Greek cuisine that most restaurants served (although I really loved Greek cuisine). Scarpa Mykonos ~ This was a super fun bar in Little Venice Mykonos and one of the few bars on the island that we heard house music. We had drinks and small eats here on one bar hopping evening. One of the major things about Mykonos was the service – everyone went out of their way to make us comfortable. The manager of this bar ‘Dimitrios’ was super nice and he made the place extra special. I also loved his last name as its basically the Greek version of my new last name. Baos Mykonos ~ We loved Baos, a really fun bar Little Venice Mykonos. 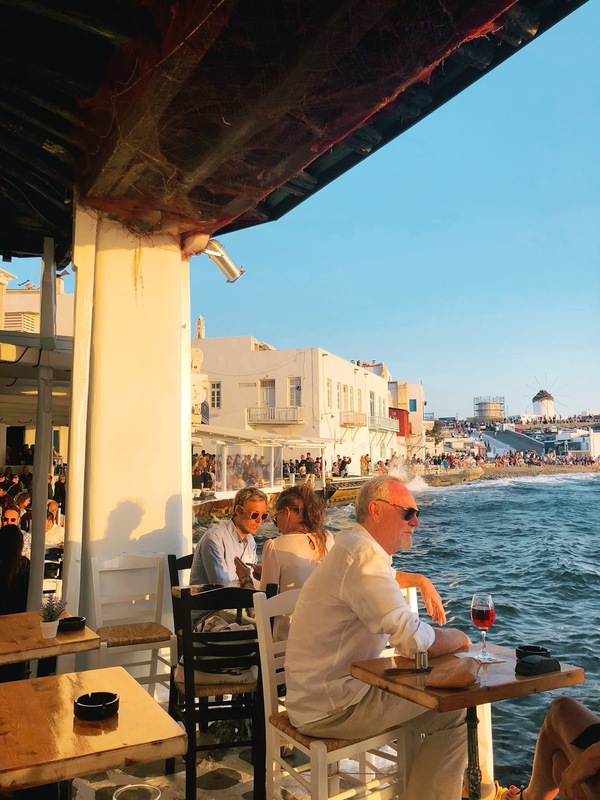 One of the reviews we saw on tripadviser before we headed to this bar said “If you really want to feel what Mykonos nightlife means, you have to visit Baos. At Little Venice, next to the sea the party goes on and on until dawn. Beautiful people, beautiful music, great vibes.” I have nothing further to add to that. Its the perfect description of Baos. Veranda Bar Mykonos ~ This bar was also in Little Venice and we actually went a few times since the view of the sunsets from here were spectacular. Each time we went we ordered a cocktail or two (and Im not even a fruity cocktail drinker but we heard their cocktails were really good) and sat at the chairs on the ‘veranda’ right above the water where we could feel the ocean sprinkles and see the beautiful sunset. The photo at the beginning of this post was also taken at Veranda. Caprice, Mykonos ~ The view from Caprice Bar in Little Mykonos was also really good! There were great drinks, great vibe, good music along with the best view. You really can’t go wrong with this bar in Little Venice for some evening fun. Semeli the bar Mykonos ~ This is a party bar and made the list because the music and service here were so good. We had a great time in this place. Just beware, it gets pretty crowded pretty quickly since its one of the bars on the water with a view of the sunsets. Yummy Mykonos ~ On our last night in Mykonos we were searching for a not too crowded bar to watch the UEFA Champions League finals. Europe is undoubtedly a football continent so all of the bars were FULL. My husband is 100% European and so full bars or not we were going to find that game. No really, we had to find a place with that game. We ended up watching it at this cute spot which served food and the best desserts. We only ate the desserts and they were really good. 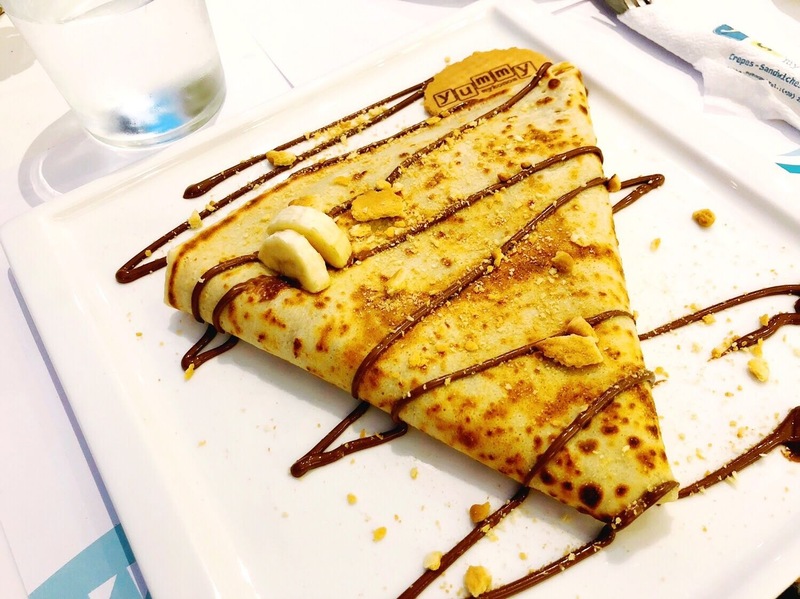 I had the best crepes I’ve ever eaten here! I won’t lie these Mykonos posts have me really nostaligic. I so want to go back and when I do I want to see all the Greek isles because if they are even a fraction of the beauty of Mykonos, I know I will love them.